If you’re not yet 110 then you’ll need to level into some of the info on these pages. If you want to get your Rogue to the level cap as quickly as possible, then look at our Rogue Leveling page. Note that this page covers general Rogue PvP stuff. For details on each spec, including talents, see the pages under Builds. Currently the Subtlety spec is the “flavor of the month” spec for Rogue PvP. Subtlety just has more tools than the other for effective ganking. This doesn’t mean that you can’t effectively PvP with Combat or Assassination, just be aware that it will be a bit harder. 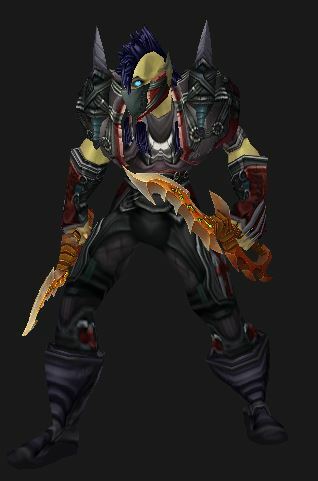 Subtlety was the PvP spec, Combat for raiding, and Assassination decent at both. All were good for leveling. With the changes that have come over the last couple of extansions this is less true than before. Combat is generally still best for raiding, but not by a lot. Sub falls a bit behind there due to a more complicated rotation and is still more PvP/Burst oriented. Assassination is just good all over. And, depending on the patch changes, one or the other might well be “better” than Sub at any given moment. Don’t forget to keep your weapons poisoned. Legion changes up the talents significantly and separated the specs in “look and feel” more than before. Various abilities either were removed (Find Weakness) or moved to only one spec (eg: Slice and Dice is now an Outlaw talent.) Overall things seem bit simpler. PvP Talents? At level 110 you gain access to a set of PvP talents that are completely separate from your “regular” talents. You must be 110 to access these talents. To gain higher tiers of talents you have to increase your “honor level,” and you do that in the usual way – by smashing in the heads of your enemies. By the way, the PvP talents are in addition to your regular talents. In Legion things are much the same, stat-wise, as before, except that you’ve lost Multistrike. Agility is still the #1 stat for any Rogue. Crit causes strike that successfully “crit” to do 150% damage. Assassination likes Crit with its Seal Fate ability (+1 CP every time you crit.) Outlaw likes it too, since their Between the eyes ability does 4x normal damage, instead of 2 (3x in PvP.) Sub likes to hit hard, but gets no special benefits from Crit. Haste speeds up everything you do, speeds up energy regen, and lowers the global cooldown time. Even with all that it’s not usually the best Rogue stat, with the possible exception of Outlaw. Mastery generally increases your damage. Assassination and Sub like theirs more than Outlaw does. Versatility is a straight up add to all of your damage and healing and, at half value, to your damage reduction. Up to level 100 you can use various gems and enchants to enhance your stats. In Legion it will all go through your Artifact weapon. See our class pages for further details. Visit Skill-Capped for lots of Rogue info. Not free, but $4/mo is pretty cheap. Note: When running away (to re-stealth) it helps if you can break “line of sight” with a convenient building or object. If you sit on a person and spam your main strike, you won’t have enough energy for legitamite burst. for example, get 5 combo points, wait for full energy, then KS (Kidney Shot) and you will be able to, assuming you are Assassination, mutiliate twice then eviserate/envenom. It’s more efficient burst than if you were to KS with 25 energy and maybe get 1 mutilate and some auto attacks in. You don’t try and beat a warrior the same way you beat a priest do you? There are unique ways of handling each class. Generally though, the two main styles a rogue can play are burst and control. Burst: When you do a lot of damage in a short period of time. This usually involves getting back into stealth again multiple times to get max damage possible. Control: When you use all CC (Crowd Control) methods available to control an opponent and take them out of the game, so to speak. This means you have to always leave enough energy to gouge and be ready to kick the right school magic. Also blinding into a sap can be a game breaker when speaking in terms of arena. Defensive: A rogue who needs to be”defensive” would simply try and avoid as much damage as possible. This would include moves like evasion, vanish, blind, dismantle, gouge, and trying to re-stealth. Like a Warrior – if you have a pocket healer then you will lay waste. Without one you will have to be somewhat careful about picking and choosing. Otherwise, obviously, the best pvp build depends on who’s in your team, if you have one, and who the other guy is.